If you're looking for a Lunar New Year feast of a slightly different persuasion, take a look at Folklore's Tok Panjang - a sumptuous spread of up to 15 elaborate Peranakan heritage dishes prepared true to Chef Damian D'Silva’s grandmother’s recipes - running from 15 February to 2 March 2018. 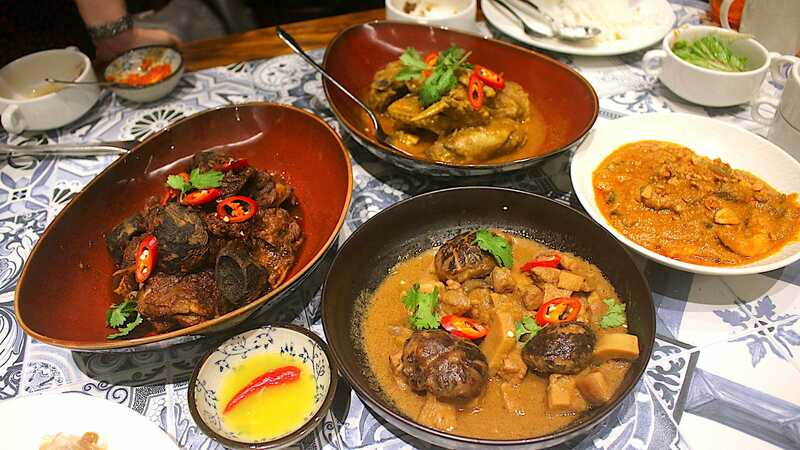 Tok Panjang is traditionally a lavish feast laid out on a long table during special occasions at Peranakan households shared with family and friends. “Tok” is the Hokkien word for table, while “Panjang” is the Malay term for long. All this while, I had thought Tok was a grandfatherly term (Malay), and didn't realise it is such a true-blue Peranakan word blending Chinese and Malay words. Of course, every Peranakan household will have their own rendition of Tok Panjang, usually showcasing more than 15 different dishes. 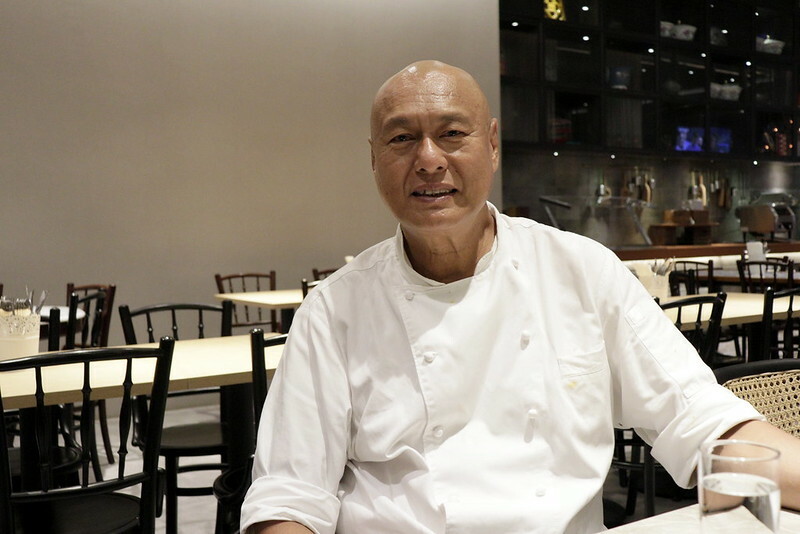 For Chef Damian’s Peranakan maternal grandmother, her long table fare would easily be a proud display of up to 20 dishes, mostly her loved ones' favourites. 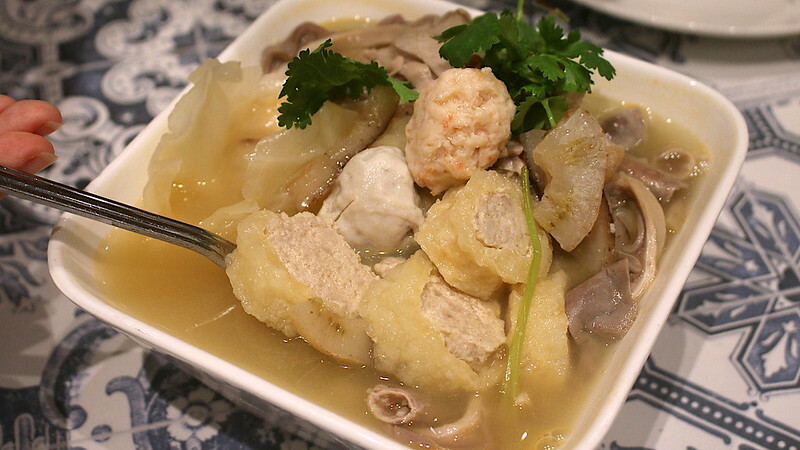 Representing abundance 年年有余 is the hearty Fish Maw Soup, a rich broth using fish, pork and prawn stock, brimming with ingredients - pig stomach, intestines, fish maw stuffed with minced meat, fish and prawn balls, and sea cucumber. You can tell this has been brewed for many hours from the way the flavours of the items have been coaxed out. 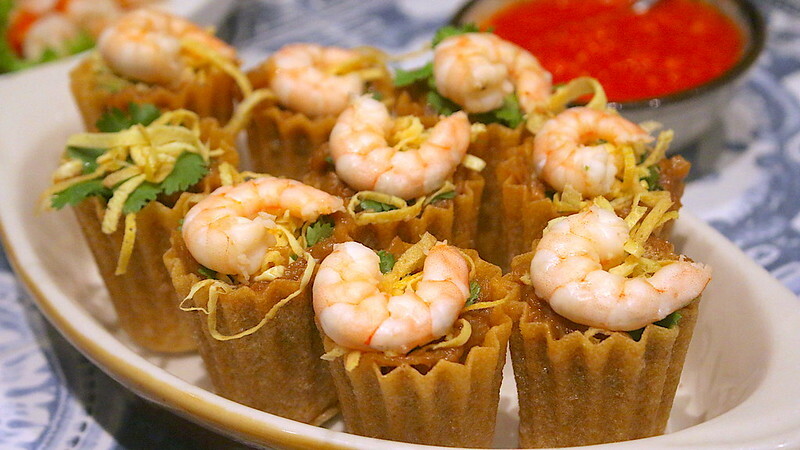 A Peranakan festive must-have, signifying wealth and luck, is the Peranakan Prawn Salad. 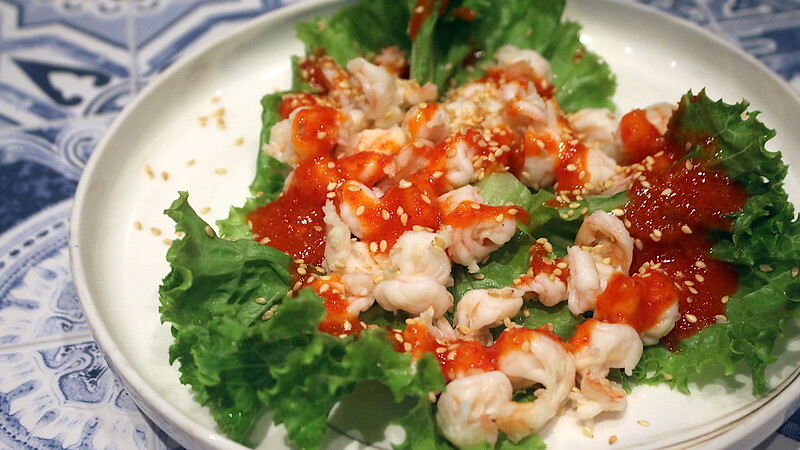 The refreshing appetiser features poached prawns topped on a bed of fresh Chinese lettuce leaves, drizzled with chilli plum sauce and lime juice. Beware: this is rather spicy, but it really does perk your appetite up! 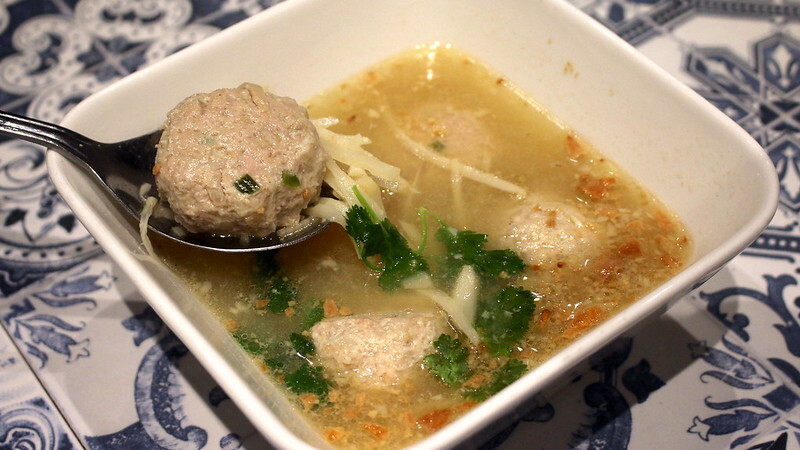 My favourite Peranakan soup is usually the Bakwan Kepiting or crab meat balls soup. Fresh crab meat is removed from the shell and mixed with minced pork, prawn and bamboo shoot and rolled into the shape of coins, then cooked in prawn and pork stock. But as good as this one was, I think the Fish Maw soup had the edge from a more complex broth. Pie Tee, the well-loved Peranakan starter, features crispy thin batter cups bearing meticulously hand-shredded turnip, carrot, bamboo shoot cooked in prawn and pork stock. Chef Damian's version is much more potent and flavourful from ingredients simmered in a highly reduced stock. You really just can't stop at one. Otah - mackerel marinated in a richly aromatic spice mix with coconut milk, wrapped in banana leaf, and then steamed - is nothing short of glorious here. This and some fluffy rice is surefire heaven. Of the "mains", we liked the Babi Pongteh the best. 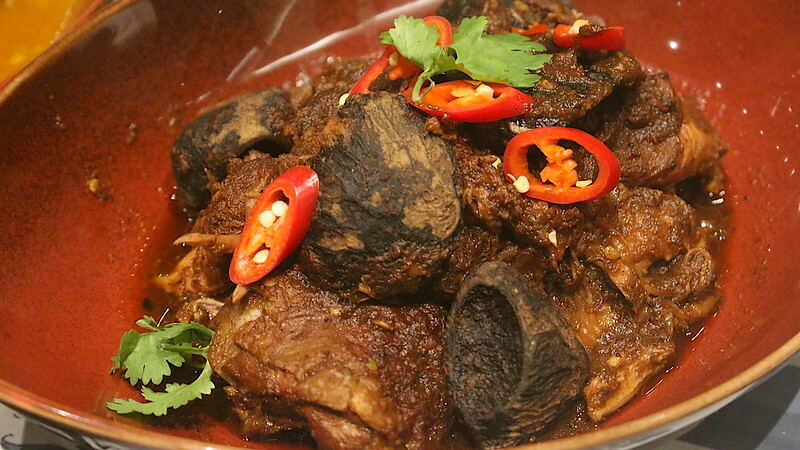 This hearty braised pork is slow-cooked with fermented bean paste, bamboo shoot, dried mushrooms and dark sugarcane. It's just so comforting. 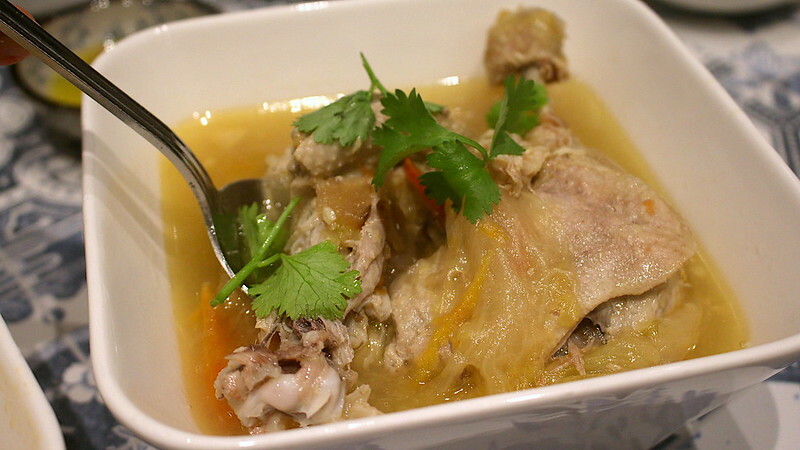 The third soup is the Itek Teem – duck stewed with salted vegetables and a little spicy heat. Chef Damian insists on calling this Itek Teem instead of Itek Tim because Tim is somebody's name. Ah, buah keluak, how more iconic is this as a Peranakan ingredient? It's an acquired taste for most, though. You either love it or you wonder what the fuss is about. I'm a fence-sitter but I do remember Chef Damian's buah keluak fried rice as being pretty moreish. Buah keluak lovers can look forward to limitless helpings of Ayam Buah Keluak and Sambal Buah Keluak here. 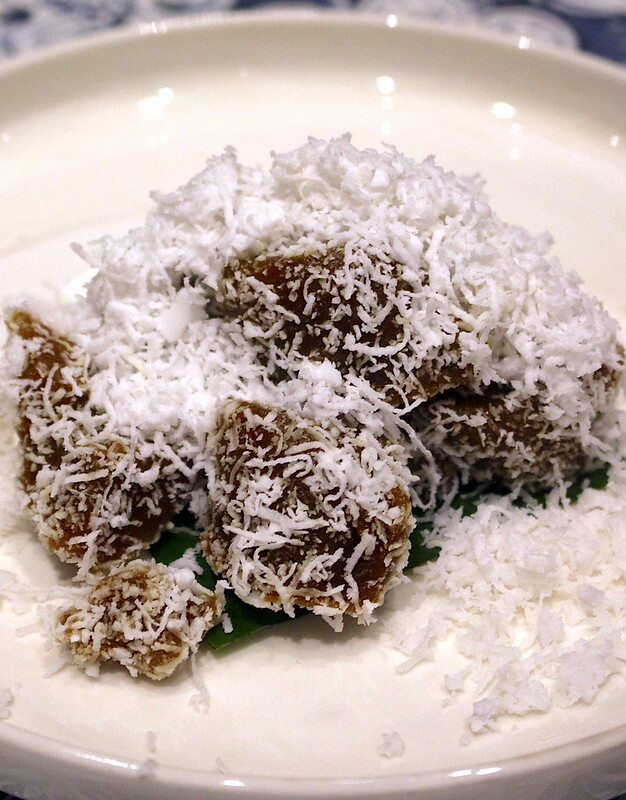 For the Ayam Buah Keluak, the pulp of the Buah Keluak nut is first extracted by hand, cooked with lard and salt, then individually filled back into the Keluak shells. 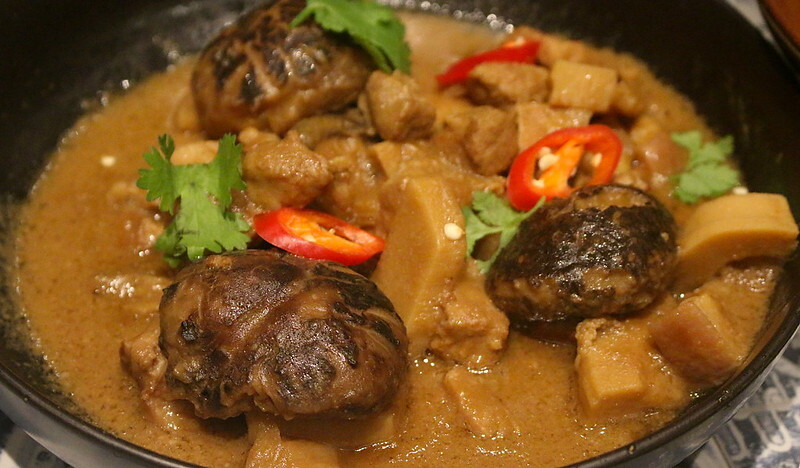 The stuffed Keluak nuts are then slow-cooked with the chicken till the flavours unite. The Sambal Buah Keluak, a popular classic at Folklore, is a rich and earthy dish of keluak meat cooked with sambal and minced pork. 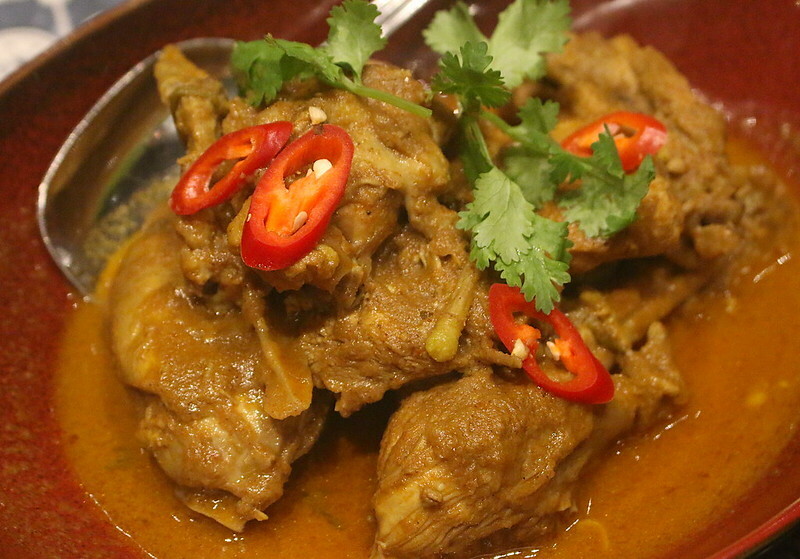 Grandma’s Chicken Curry is one of Chef Damian’s beloved dishes from his grandma’s repertoire. He particularly likes to pair this with black sauce and chilli padi. 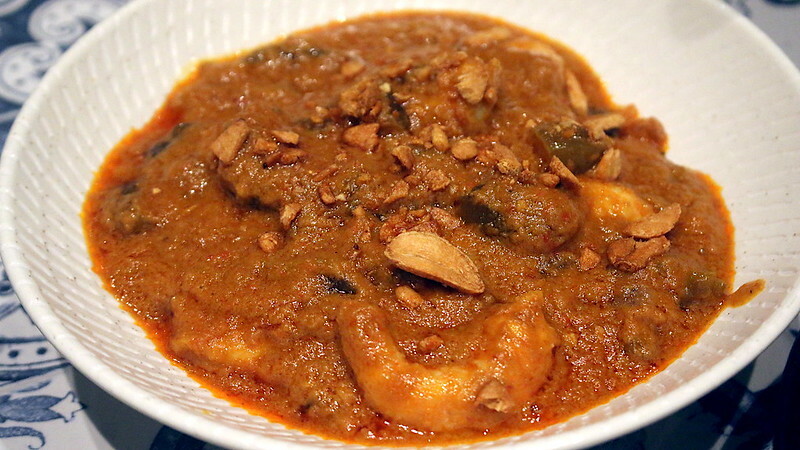 The curry chicken is cooked with a spice mix of shallots, dried chillies, ginger and homemade curry powder. Oddly enough, it tastes like a cross between typically smooth Chinese curry and a potently spiced Indian curry. The Sambal Belimbling had us coming back repeatedly for more. 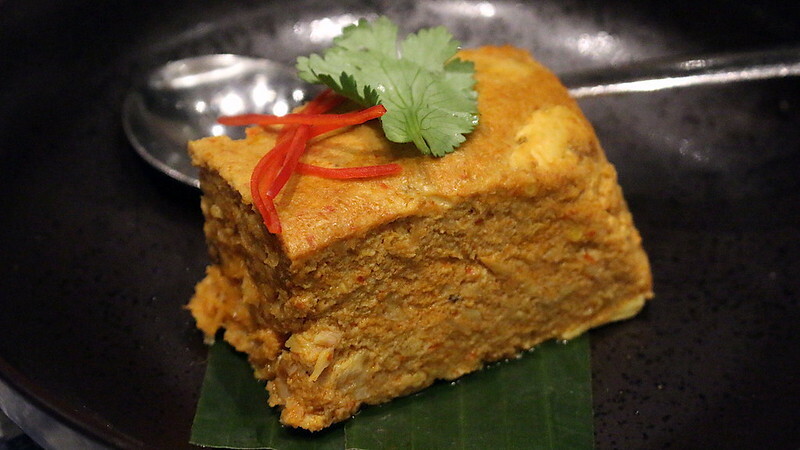 This palate-cleansing stunner features belimbing (miniature starfruit) in sambal. The sharp tang of the fruit helps to cut through the richness of the other dishes. 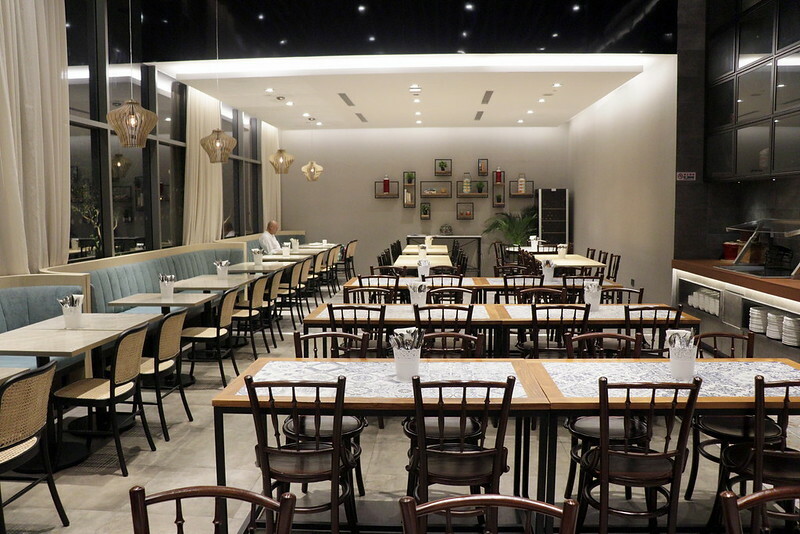 Other Peranakan favourites include Ngoh Hiang, Peranakan Chap Chye, Garang Assam, and 4-Angled Bean Salad. Finish off with some Kueh Kosui, lauded by some as the best in Singapore. It's even better than I remember. There's also Chendol and an assortment of Peranakan Kuehs handmade by Chef Damian. Folklore Chinese New Year Tok Panjang is available for dinner from 15 February to 2 March 2018 from 6.00pm to 9.30pm daily, at $68++ per adult and $28++ per child (12 years old and below). Chinese New Year set lunches are served at $18.80++ per person. The a la carte menu will not be available during this promotional period, but if you prefer to go light, you can opt for the lunch set menu.